Gas turbines are continuous combustion engines composed of three main components: an upstream rotating gas compressor, a downstream turbine (on the same shaft), and a combustion chamber or area called a combustion between the turbine and gas compressor. Fresh atmospheric air flows through the compressor that brings it to higher pressure. Energy is then added by spraying fuel into the air and igniting it, allowing the combustion to generate a high-temperature glow. As soon as the high-temperature high-pressure gas enters a turbine, it is expanded down to exhaust pressure and produces thrust and shaft work output. These turbines provide energy to trains, aircraft, ships, electrical generators, pumps, gas compressors, and even tanks. Gas turbines can be extremely efficient because they are relatively easy to maintain. Conversely, piston engines are much more difficult to repair because they have a much more complex construction with more moving parts. Turbine parts do experience a higher wear rate, however, because they often work at much higher speeds. The importance of gas turbine inspections cannot be understated. Since even tiny salt particles can be damaging to a turbine, it’s essential that a borescope inspection is performed to identify any potential threat to the machine’s integrity. Once salt particles attach themselves to turbine blades, they will attract other particles like dirt and dribs, which will subsequently decrease the turbine’s overall power output by as much as 15%. 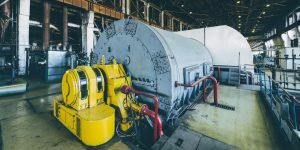 Rather than deal with major power losses and extremely expensive repairs due to turbine maintenance neglect, make sure you’re working with trusted borescope inspection services and are scheduling annually gas turbine inspections. Also, for desert turbine operations, in order to preserve the turbine, air filters might have to be fitted and replaced multiple times a day. 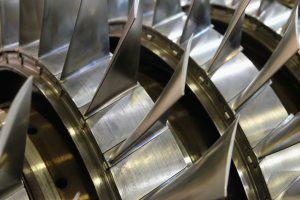 If you want to learn more about the importance of quality turbine support services or schedule a thorough gas turbine inspection, give Advanced Turbine Support a call today.